SAN MATEO, CA and MENLO PARK, CA – Ascentis Corporation, a market-leading provider of cloud-based, software-as-a-service (SaaS) human capital management (HCM) solutions and integrated payroll services, today announced a majority recapitalization by global growth equity investor Summit Partners. Brian Provost, an Executive-in-Residence with Summit Partners and a software industry leader with more than 20 years of executive experience, will join Ascentis as CEO. The funding will be used to fuel product innovation and drive new growth initiatives. Ascentis offers a comprehensive, end-to-end suite of human resources, benefits, payroll, timekeeping and talent management products to more than 1,000 customers throughout the U.S. and Canada. The company’s SaaS-based solutions increase productivity by automating HR and payroll processes, reducing costs, providing meaningful insights into organizational trends, and empowering employees in all aspects of the HR and benefits process. With more than two decades of executive leadership experience in rapidly growing SaaS technology companies, Mr. Provost joins Ascentis from Summit Partners’ Executive-in-Residence (EIR) program. Previously Mr. Provost served as President and CEO of Convey Compliance, a tax compliance SaaS company acquired by Sovos Compliance. Prior to Convey, Mr. Provost served as Chief Operating Officer of Gelco Expense Management, a SaaS-based provider of travel expense management solutions acquired by Concur Technologies. In addition, he served in leadership roles at several prominent companies including Wizmo, Inc., Norstan Communications (acquired by BlackBox), and ColorSpan (acquired by Hewlett Packard). In addition to Mr. Rottier and Mr. Ferrington, Summit Partners Vice President J.P. Sanday has joined the Ascentis Board of Directors, serving alongside current board members Walter Turek, a former Paychex senior executive with significant HCM market expertise, and Bradley Palmer, Palm Ventures’ Chairman and Founder. In 2007, Palm Ventures acquired a majority interest in Ascentis and structured and funded the company’s acquisition of EBS On-line, a San Mateo, California-based payroll processing company. In 2012, growth equity firm Catalyst Investors invested and became the largest shareholder in the company. Following Summit’s recapitalization, Catalyst will exit its investment and Palm Ventures will continue to hold a minority position in the company. LFM Capital, a private equity firm focused on growth oriented, lower middle market manufacturing and industrial services businesses, announced today that it has acquired Heartland Steel Products Group. Heartland, headquartered in Oak Brook, Illinois with four manufacturing facilities in Marysville (MI), Marlette (MI), Harrison (OH), and Lodi (CA), offers innovative material handling solutions to manufacturing, distribution and warehouse facilities throughout the country. Under its SpaceRAK® brand, Heartland designs, engineers and manufactures an array of steel pallet racking systems and products. 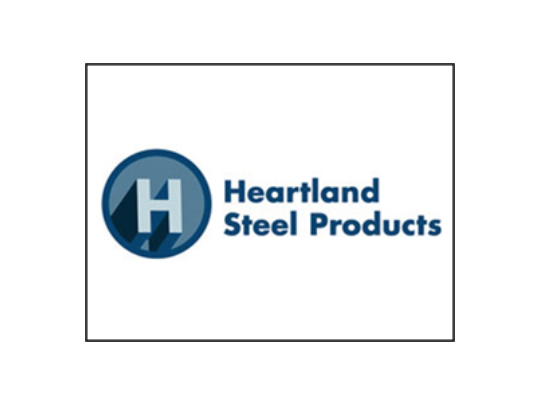 With its Heartland Engineered Products (or “HEP”) brand, Heartland offers engineered structural steel platforms and mezzanine systems, which are used primarily for facility space utilization and conveyor support. Heartland also manufactures safety products and other material handling accessories. LFM Executive Managing Director Steve Cook commented, "Heartland is a well-positioned company in an area of growing demand. We look forward to working with the team at Heartland on investing in their manufacturing capabilities, optimizing workflow within their facilities, and recruiting additional engineering and leadership talent that will allow them to increase their capacity and capabilities." Heartland’s products and services are integral to facility material handling management. As such, it stands to be a beneficiary of the increasing need for sophisticated fulfillment centers, much of which is attributable to the growth of e-commerce and consumer demand for next day delivery. Heartland CEO Pat Peplowski noted, "Heartland’s reputation for quality, national footprint, and outstanding team enable it to serve the most demanding blue chip customers. We are excited to partner with LFM to leverage their networks with customers and operational talent. In addition, this partnership will allow us to invest in our manufacturing capabilities so that we can effectively leverage our nationwide footprint to provide competitive solutions across the full product range." NRS, part of Accuity, today announced that it has acquired FIRE Solutions, a leading provider of compliance and education products and services to the broker-dealer community and an industry leader in securities exam preparation. Palm Ventures, LLC is the lead investor in FIRE Solutions along with The Palmer Group. The acquisition is part of NRS’s strategy to provide a comprehensive, single-source compliance portfolio to its clients that will enable them to fulfill their regulatory requirements. In addition to its state-of-the-art learning management system and industry leading educational content, the FIRE Solutions team, with its deep knowledge and experience for broker-dealers, will be joining NRS. The terms of the acquisition were not disclosed. The FIRE Solutions products comprise: firm element and other continuing education content; annual compliance meeting; and securities exam preparation solutions to broker-dealers. In the US, there are over 4,000 broker-dealers and almost 640,000 registered representatives who are subject to mandated requirements for education throughout their career. NRS currently re-sells the FIRE Solutions continuing education offering as an integrated solution with its ComplianceMax platform and will incorporate all of the FIRE content in its solutions for broker-dealers and investment advisers. The acquisition brings together two complementary and successful businesses. The combination of NRS’s comprehensive compliance technology, deep subject matter expertise and renowned customer service, together with FIRE Solutions’ learning technology and broker-dealer expertise, will allow NRS to offer customers an integrated compliance technology and training portfolio while reducing vendor management burdens. Netsmart, the leading provider of clinical solutions for health and human services organizations nationwide, today announced that it has acquired Sequest Technologies, Inc., based in Lisle, Illinois. Sequest provides the TIER® (Totally Integrated Electronic Record) family of clinical and practice management solutions, which will continue to be developed and supported as a Netsmart solution. The acquisition of Sequest supports Netsmart's commitment to deliver innovative solutions to providers across the entire human services continuum of care. The Complete ARRA-certified TIER solution is designed to meet the clinical workflow of substance use treatment and social services agencies, private inpatient psychiatric hospitals, child and family services agencies and smaller behavioral health provider organizations, helping all of these providers more quickly adopt an EHR and enhance quality of care. "Our acquisition of Sequest aligns directly with the fast-evolving shift in the overall healthcare ecosystem to collaborative, coordinated care," said Mike Valentine, Netsmart chief executive officer. "To continue to be the industry leader, we must provide our clients with leading-edge clinical and practice management solutions specifically designed for their care settings and with clinical support for those care settings." The Sequest acquisition also helps advance Netsmart's plans for a national clinical and operational benchmarking service. The service will enable providers to benchmark themselves against best practices, their peers, and to develop patient and organization-level predictive analytics. Participation of Sequest clients will enhance the benchmarking service by expanding the range of data delivered. "One of the key drivers for this acquisition was Netsmart's ability and willingness to invest in the resources needed to assure its clients are full participants in an exciting, evolving healthcare arena," said William Connors, MSW, president and chief executive officer of Sequest, who joins Netsmart as senior vice president and general manager of the Child and Family Services and Substance Abuse business unit. "Without Netsmart's resources and willingness to invest for the future, we would have been confronted with the dilemma faced by many other small technology companies – how to make the significant investment necessary to equip our clients in important areas like meeting the next stages of Meaningful Use criteria, becoming involved in integrated health information exchanges (HIEs) and participating in accountable care organizations (ACOs)." "In the bigger picture, it's not just about keeping up with healthcare reform, it's about embracing exponential change in healthcare," said Valentine. "The Sequest solutions, culture and team not only align well with our strategies, I believe they will accelerate them. Given their clinical focus, this acquisition extends our ability to help our clients evolve quickly toward the new clinical world of leveraging technology to drive better outcomes and the consumer experience for those they serve," said Valentine. Benefit by a Guggenheim Partners-led group of investors, after receiving the required regulatory, policyholder and shareholder approvals. The Guggenheim Partners-led investor group, which includes certain shareholders of Guggenheim Partners, is investing $400 million in the transaction to acquire Security Benefit. On July 30, 2010, $165 million of capital was injected into Security Benefit Life Insurance Company (SBL) following an initial $175 million infusion on Feb. 26, 2010. This infusion of capital is expected to result in upgrades in the financial strength ratings of SBL, Security Benefit’s primary life insurance company subsidiary and its affiliate, First Security Benefit Life Insurance and Annuity Company of New York (FSBL). Boehly will serve as Chairman of the Board of Security Benefit in addition to retaining his role as Managing Partner in the Office of the CEO of Guggenheim Partners. Howard Fricke will serve as Vice Chairman of the Board and continue as Security Benefit President and CEO. Fricke had been serving as interim President and CEO since Feb. 16, 2010, after serving as Security Benefit President and CEO from 1988 to 2000 and Chairman from 1996 to 2006. In addition, Mark Walter, CEO of Guggenheim Partners, has joined Security Benefit’s Board of Directors. SGI|Security Global Investors (known as Rydex|SGI in the financial intermediary market) – an asset management firm with approximately $20 billion in assets under management, offering institutional investors and financial intermediaries a broad spectrum of traditional and alternative investment strategies in separate accounts, mutual funds and ETFs. Guggenheim Partners and Security Benefit began formally working together in the second quarter of 2009 when Guggenheim became the investment advisor for SBL’s general account. Since then, Guggenheim has been successful at continuing to improve the quality of the portfolio while increasing investment income. As a result of the demutualization and dissolution of Security Benefit Mutual Holding Company (SBMHC), approved by SBMHC members on May 26, 2010, it is estimated each former SBMHC member may receive consideration equal to approximately $100. SBL policyholders who own tax-qualified contacts will receive “policy credits,” or an increase in the cash value of their policies, rather than cash, provided that the Internal Revenue Service (IRS) and Department of Labor (DOL) issue certain rulings the Company has requested. The cash consideration is expected to be distributed within 60 days of the close of the transaction. Policy credits for tax-qualified contracts will be issued following receipt of the IRS and DOL rulings. Citigroup acted as sole advisor to Guggenheim Partners on the transaction and will continue to provide ongoing advice and support in connection with the strategic development of the business. Freeman & Co. acted as sole advisor to Security Benefit on the transaction. Corinthian Colleges, Inc. (Nasdaq: COCO) has signed a definitive agreement to acquire Heald Capital LLC, the parent company of Heald College. Heald is a regionally accredited institution that has been delivering quality career-focused academic programs since 1863 and has created a strong brand in its markets. Heald prepares students for careers in healthcare, business, legal, information technology and other growing fields, primarily through associate degree programs. Headquartered in San Francisco, California, Heald operates 11 campuses and had approximately 12,300 students at September 30, 2009. Heald has nine campuses in Northern California, one campus in Honolulu, Hawaii and one campus in Portland, Oregon. In addition, Heald recently received approval from its accreditation agency, The Accrediting Commission for Community and Junior Colleges of the Western Association of Schools and Colleges, to offer fully online degrees. The College expects to begin enrolling exclusively online students in early 2010. Corinthian currently has five nationally accredited schools in Northern California which primarily offer short-term diploma programs in healthcare, automotive technology and the trades. "The acquisition of Heald is consistent with Corinthian's strategy of increasing its presence in markets with high growth potential and expanding its ability to offer regionally accredited programs," said Peter Waller, Corinthian's chief executive officer. "Upon completion, the Heald acquisition will give Corinthian an increased presence in Northern California, Oregon and Hawaii; a growth platform for campus-based and online regionally accredited programs; and a third strong brand. In addition, both organizations are dedicated to the mission of changing students' lives through quality, career-oriented education. We look forward to welcoming Heald's chief executive Nolan Miura and his capable team as a new and separate division at Corinthian." "We fully support this proposed transaction, as Corinthian and Heald are both committed to preparing students for academic, personal and professional success," said Nolan Miura, Heald's president and chief executive officer. "I am proud of the strong culture and team that we have built at Heald and believe that our passion for student achievement has fueled the institution's substantial progress over the past few years. We believe the transaction will allow us to build on past success by giving Heald access to greater resources and through the sharing of best practices. Having spent eight years at Corinthian as a senior executive, I know personally that both organizations strive to put students first and to provide a positive culture for faculty and staff. We look forward to joining Corinthian and to the opportunities it will create for Heald." Heald Capital's controlling shareholder is Brad Palmer, Founder and Managing Partner of Palm Ventures, LLC, who organized Heald Capital to acquire the majority interest in Heald College in 2007. Mr. Palmer recruited the current Heald Trustee Board, which includes a number of nationally recognized education and business leaders, and he has worked cooperatively with Mr. Miura and management to provide the resources essential for the development of the college. In March 2009, Mr. Palmer sold a minority equity interest in Heald to funds affiliated with Summit Partners. EDMC's earnings in the fiscal year ending June 30, 2004.
investment firm based in Philadelphia, Pennsylvania, headed by Russell E.
market-sensitive academic programs and a comprehensive distribution system. EDMC system to AEC's campuses, subject to normal regulatory approvals." degree-level academic programs will support our growth objectives."